It’s that time again. 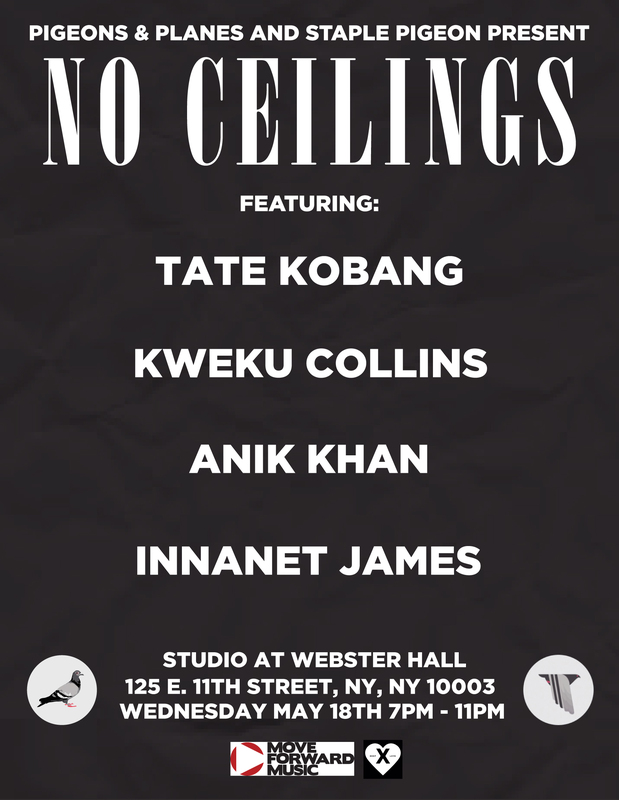 After a crazy No Ceilings at SXSW, we’re back in NYC with an exciting lineup featuring four artists on the rise: Tate Kobang, Kweku Collins, Anik Khan, and Innanet James. Baltimore’s Tate Kobang is fresh off the release of his excellent Since We’re Here mixtape, and his live show looks amazing. Kweku Collins has a more laid-back vibe, but his genre-bending debut album Nat Love shows off the unique talents and songwriting abilities of the teenager from Evanston, IL. Anik Khan was born in Bangladesh and is based in Queens, and his perspective and lofty goals set him up to be a powerful force in music. 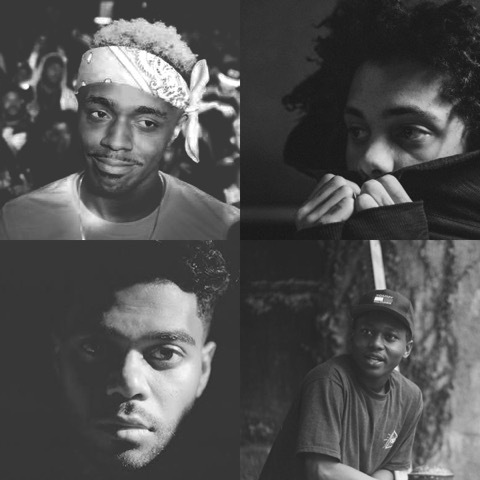 And Innanet James is just getting started, but his first batch of songs has already won us over—he’s one of our favorite newcomers in hip-hop, hands down. Check out some streams below to get familiar with the latest No Ceilings lineup, and we’ll see you in May. Tickets are $12 and all ages are welcome.